Always remember chilli as a remedy to Jack Frost's icy grip. 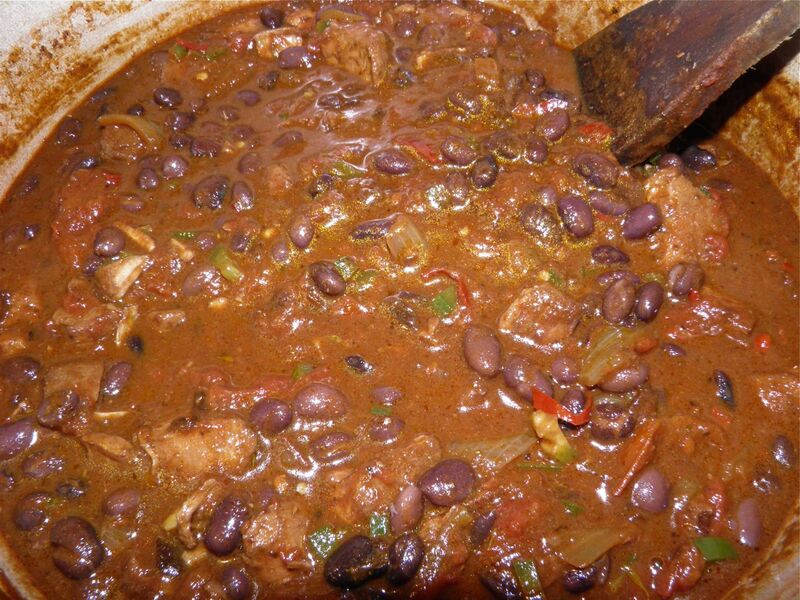 Everyone's familiar with the spicy concoction of meat and beans. Probably most of us have at least one recipe we can do from memory. Have you ever though about making chilli with mole? Probably not. 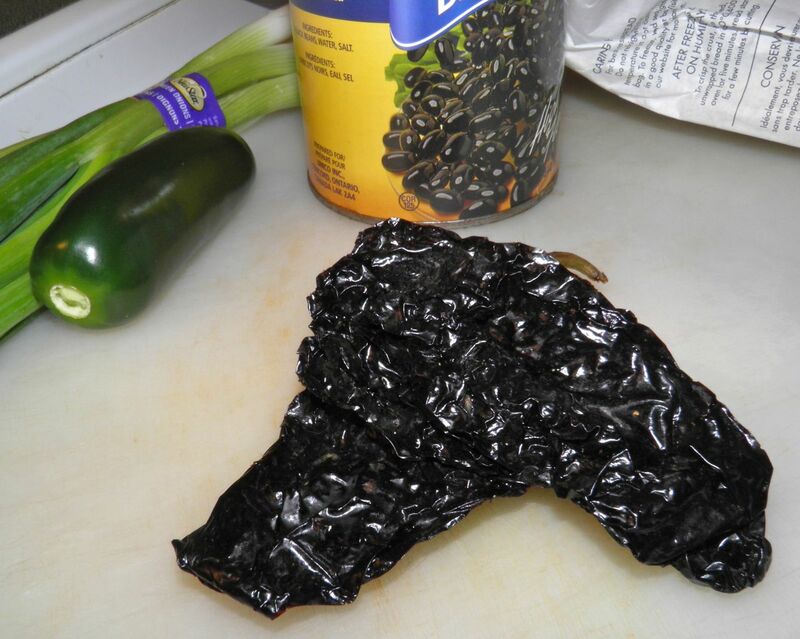 Mole (mow-lay) sauce is a common sauce in Mexican cuisine, composed of different types of chillies and several other ingredients. Not all chillies are hot. For example, ancho and poblano are included solely for flavour. Superstore. About 6-8 dried chillies were $2.00. Not bad. These are Ancho. They are black green before being dried. Many mole recipes also contain chocolate. Mine does. Chocolate takes on quite a different quality when mixed with spices, chillies and tomatoes. It all comes together in a deep, complex, delicious, spicy sauce – perfect for chilli. Where “chilli” originated is the source of much heated debate, if you will pardon the pun. Today chilli is most closely associated with Texas and New Mexico, but (regardless of what people may say) those places cannot be the origin. Dishes of meat, beans, peppers, and herbs were widespread in Incan, Aztec, and Mayan cultures before the Europeans even arrived in the Americas. Chilli peppers have been part of the cuisines of China, the Middle East and India for many centuries, if not for millennia. The dishes they were used in contained meat. Ready for the "long simmer." Green chilli peppers were first introduced to North America (not to be confused with Central America) around 1600 by Don Juan de Onate, where New Mexico is now. 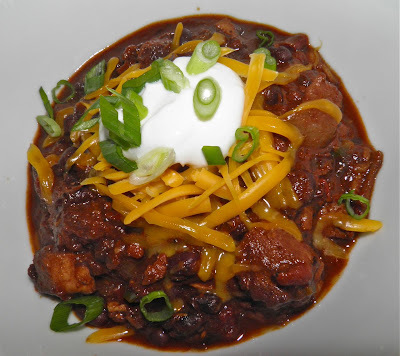 So there’s scant evidence that chilli is a Euro-American invention. One thing that cannot be disputed though, is that its consumtion was widely spread via cattle driving across the southern USA plains. The ease of one-pot preparation, and good nutrition, certainly helped popularize it. This was doubly true in a business where you worked hard all day and only stopped at sunset, and in different locations every night. I do have to admit the taste probably had something to do with it becoming popular as well. There’s nothing quite as satisfying as a steaming bowl of chilli. Chilli is a dish to which you can add nearly anything on hand. The basics are meat, tomatoes, herbs and hot chillies. The heat can be increased or decreased to personal taste. But from there's it's up to you. There are vegetarian versions, but they are modern inventions by non-meat eaters to enjoy a dish that is supposed to contain meat. Meat, tomatoes, herbs and chillies. After simmering, with the black beans added. on the crowd you have to satisfy. Rehydrate the dried ancho chillies in hot water for1/2 hour before starting. Dice and set aside. 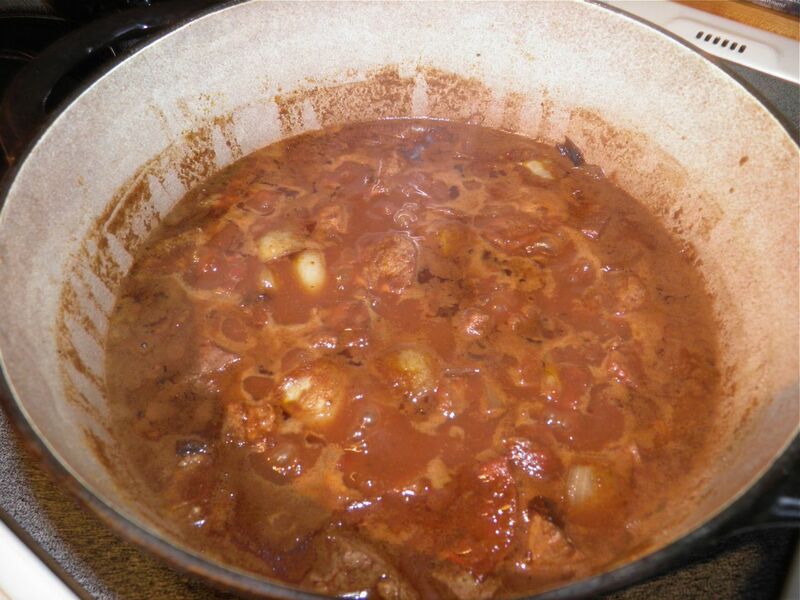 Heat the vegetable oil in a Dutch oven or similar heavy pot with a lid. Add the pork and cook until slightly browned. Add the onion and garlic and cook for a further 2-3 minutes. 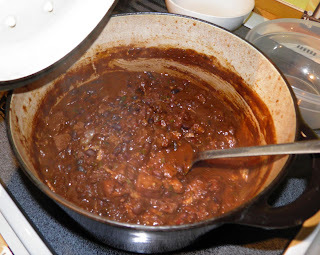 Add the ancho, red chilli and jalapeno peppers and cook for 2 minutes more. Stir in the cumin, oregano, thyme, cinnamon and chocolate. Then add the tomatoes and broth. Add some salt and pepper (to taste) and bring to a boil. Stir until the chocolate dissolves. Then reduce the heat, cover and let cook for 2 hours. After the 2 hours add the rinsed black beans and cook, uncovered, for a further 15 minutes. Serve with grated cheddar, sour cream and diced green onions on top.